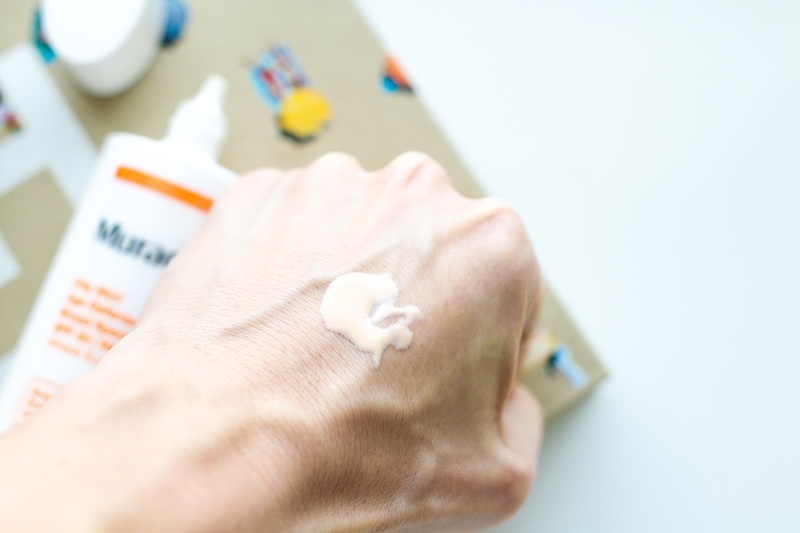 Since sunscreen is a non-negotiable for me every single day, I am constantly looking to test new formulas. Especially ones that have a high SPF. There are so many great ones in my collection but not that many which go as high as SPF 50. I recently was sent a few different sunscreens to test out and 2 really impressed me! 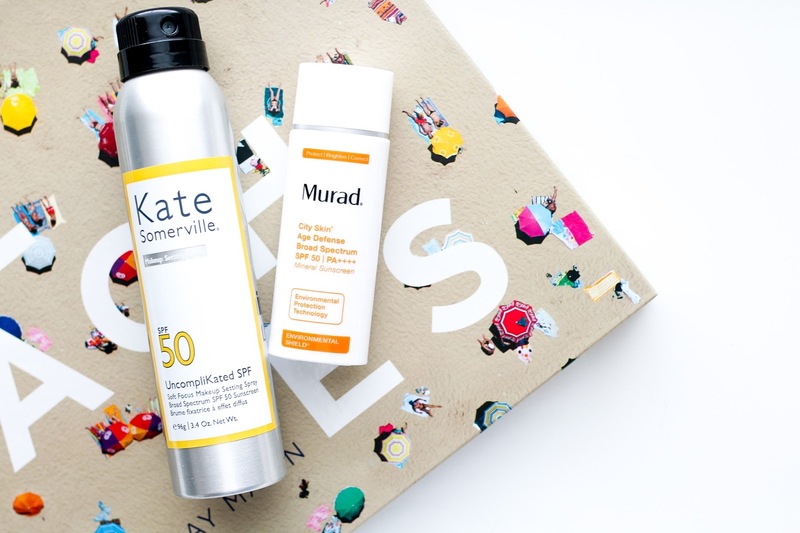 Both the Kate Somerville UncompliKated SPF 50 spray and the Murad City Skin Age Defense SPF 50 were an instant hit. Keep reading for my review on each. 1. 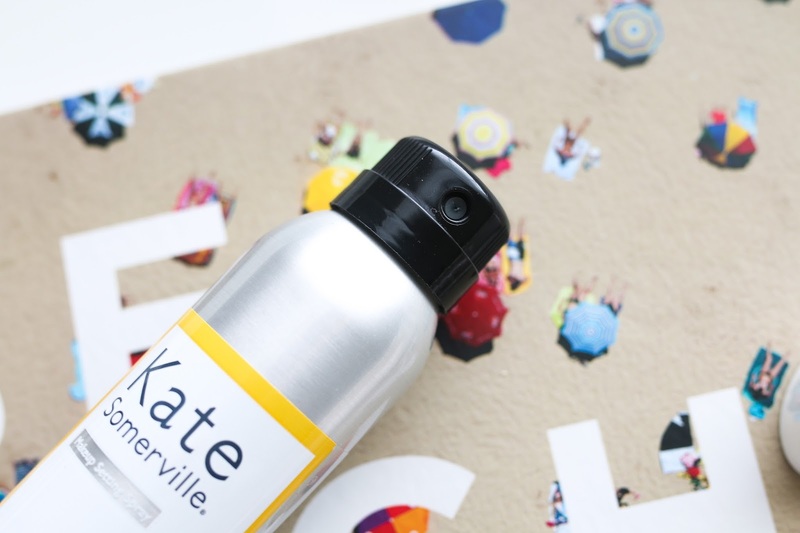 Kate Somerville UncompliKated SPF 50 - A makeup setting spray AND an SPF product in one? I almost fell over when this product arrived because it's as if Kate Somerville answered my prayers. I wear SPF everyday but sometimes I want to reapply during the day if I plan to be out for a long time and it's not possible to add sunscreen over top of my makeup. This mist is absolutely brilliant. It won't replace my traditional SPF that I wear under my makeup, but I love the extra layer on top and the ability to touch up throughout the day. And the best part of this mist is that it gives my skin a matte finish and slightly blurs imperfections. I am already anticipating buying a backup because I think this will become a year round staple for me! 2. Murad City Skin Age Defense SPF 50 - The first thing that appealed to me about this sunscreen upon squeezing it onto the back of my hand was the slightly peachy tint. Even though I am fair, some sunscreens (especially ones with a high SPF) can leave a whitish cast on my skin. This Murad SPF immediately blends in and even helps to slightly reduce any redness and even out my skin tone. It has a medium texture that is not too thick but not too runny and wears beautifully under makeup. And for those that may be looking for one, this is a 100% mineral sunscreen that helps prevent from multiple environmental aggressors such as UVA and UVB rays, pollution, blue light from devices and infared radiation.